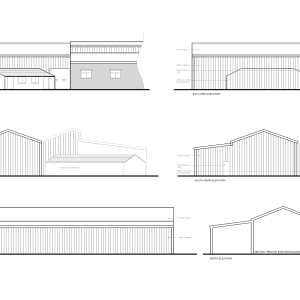 Borough of Poole: Pure Town Planning has recently secured retrospective planning permission for a large single-storey warehouse extension to an existing commercial buidling within the Sopers Lane Industrial Estate in Poole. 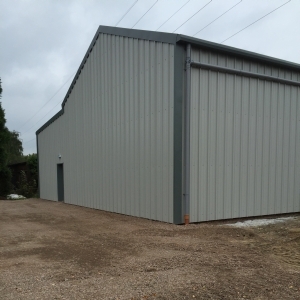 Due to the continuing growth of the company, the warehouse extension had to be erected without gaining planning permission first. Once the warehouse was erected, Pure Town Planning was instructed to prepare, submit and manage the application to regularise the unlawful building. LMA Architects prepared the accompanying plans. As part of our submission package, it was important to provide strong justification for why the warehouse should be granted retrospective planning permission. First, it was noted that the warehouse is within a designated employment area where new economic growth has an in principal support from the Council, providing justification for the use. Secondly, the nearest buildings to the extension are in employment use and are over 65 metres away from the proposal, which ensures there is no harmful impact upon the surrounding business uses. 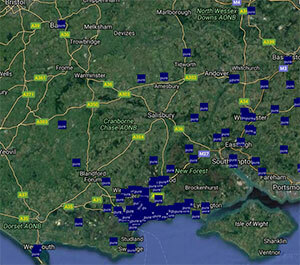 Once the application was submitted, the Borough of Poole Case Officer only had minor queries, which were quickly managed with, allowing the application to be determined some two weeks before the target date. So if you have a unlawful building or are considering extending your commercial premises why don’t you give Pure Town Planning a call on 01202 585524 or email us at info@puretownplanning.co.uk for a FREE and confidential appraisal.